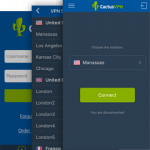 As part of preparing for the release of iOS 10 and macOS Sierra, Apple publicly announced back in July that they are removing PPTP support from Apple’s integrated VPN client owing to a number of security vulnerabilities in the VPN protocol. MacOS Sierra and iOS 10 users will forgo the option of PPTP VPN on iOS once they upgrade. This means users will be unable to create a manual connection with PPTP protocol. A large number of users will be affected by this update. For the same reason, many are avoiding the upgrade to the current version of iOS or Mac OS. Although PPTP protocol can still be accessed by users of OS X EI Captain and former systems, or iOS 9 and earlier versions, Apple does not recommend its use for private, secure communication mainly due to the protocol not being secure, outdated and at times quite ineffective. 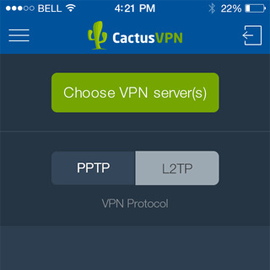 So, what can you do as an iOS and macOS user to be better prepared for the PPTP VPN on iOS removal? Basically, you can do two things. Use a different protocol like L2TP, OpenVPN, SSTP. You can skip the upgrade if you want to use PPTP VPN on iOS or downgrade if you already upgraded to this version. 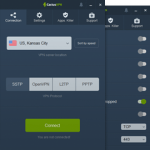 SSL VPN clients on the App store for instance those from Aruba, AirWatch, Cisco, Check Point, NetMotion, F5 Networks, Pulse Secure, Mobilelron, Palo Alto Networks, Open VPN and Sonic Wall. To sum it up, if you are an iOS or macOS platform user for your device or computer and favor PPTP for VPN connectivity, you need to take the above-mentioned alternative route if you wish to advance to iOS 10 or macOS Sierra. All these substitutes offer useful and complete support since they encrypt your online traffic, and are the best way to gain ideal balance between safety and speed.